What is Aviation Liability Insurance? 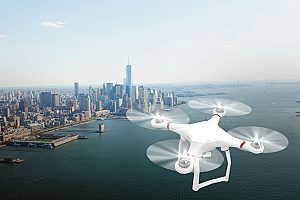 Aviation insurance generally is insurance coverage available to cover the operation of aircraft, including drones, and the risks involved in aviation. Aviation liability insurance insures the owner of an aircraft against losses caused by having to pay damages for injuries to persons or property inflicted by or in the operation of the aircraft. The most common type of aviation liability insurance, often referred to as third party liability insurance, insures aircraft owners for damage that their aircraft does to people and their property. 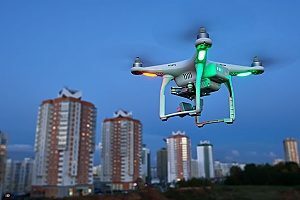 The damage covered may cover an event where a drone malfunctions in mid-flight and crashes into someone’s house, car, farm crops, airport facilities, or other aircraft. Aviation liability insurance does not provide coverage for damage to the insured owner’s aircraft itself, nor does it cover passengers or cargo being carried on the insured aircraft. Those risks are covered by other types of insurance policies. Damage to the owner’s aircraft can be insured by hull insurance or in-flight insurance. As for insurance coverage for passenger injuries, that risk is covered by passenger liability insurance. This specifically covers risks of injuries to passengers riding in the aircraft. In many countries passenger liability coverage is mandatory for commercial or large aircraft. Damage to cargo and equipment is covered by payload insurance. Why Have Aviation Liability Insurance? Surprisingly, aircraft liability insurance is rather inexpensive. You can lower the cost even more when you purchase other aviation insurance along with the liability coverage. If you decide to purchase aircraft liability insurance only, the cost of premiums will be higher, but not too prohibitively expensive. One way to lower the premium cost is to purchase less coverage. If your aircraft is in an accident that causes death or injury to others, and/or damage to property belonging to someone else, you can expect a legal claim to be filed against you and anyone else that may be legally culpable. Depending on the extent of the injuries and damage, your legal defense can cost into the millions. You simply cannot afford not to have liability insurance coverage. Without it, you as the aircraft owner would be responsible for all of the defense costs in addition to the damage amount awarded by a court. Most aviation liability coverage is required by law if you are a licensed air carrier, while certain other types of coverage are optional. Even if you are operating in a country where the insurance is not required, the contractual arrangements you make with business investors, transaction partners, contractors, and subcontractors may require it as a condition to doing business with you. In fact, if you own or rent an aircraft for the purpose of providing passenger air services, you must comply with several insurance requirements before you can legally operate the aircraft. You need to insure against damage to your plane and aircraft equipment, damage done to third-party property by your plane, and injuries to third parties caused directly or indirectly by your plane. Deductible amount: Aviation liability insurance is like any other insurance policy in that a higher deductible will lower the cost of the premium. Pilot experience: Having an experienced pilot flying your aircraft will mean significantly lower insurance rates than a novice pilot. In the case of a drone, your pilot should be a licensed drone pilot with a flight log showing the pilot as at least 50 hours of flying time. The aircraft: The cost of insuring against liability will depend on the type of aircraft, from drones to turboprop planes to full-sized jets. The insurance broker will want to know where the aircraft will be operated, its purpose (cargo and/or passenger carrier), flight frequency, and the aircraft’s purchase price, current value, age, and size. Passenger and cargo capacity: What your aircraft is carrying, the number of passengers, and the value of any cargo will affect the cost of your coverage. Don’t take unnecessary risks with your aircraft or drone operation. 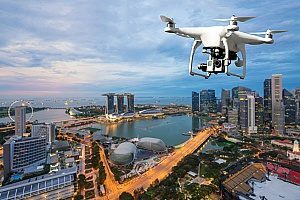 For more information about finding the right aviation liability insurance and the type of drone insurance policy you need, speak with a drone insurance broker. An experienced drone insurance broker can help make sure you get the right coverage for maximum protection. Previous Post: « What is the Most Important Cannabis Insurance Policy to Obtain?